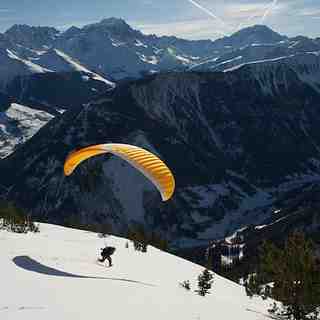 Question?Im going skiing in Austria Ruarus Jan the 20th no snow at the moment! my wife is still unsure.Have I chosen the right place to go only time will tell! Joined today after searching for a good site to keep us updated on conditions in Obergurgl. 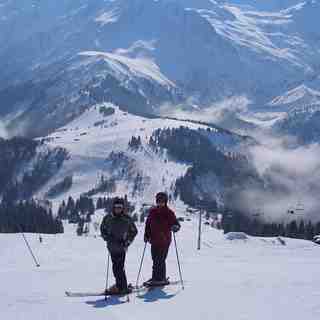 Can anyone tell us a good forum to go to as we are new to Skiing & have a few questions to ask about clothing etc. S-F.com provides its viewers great information in a great and fun way, and for that I thank them. For those who like traveling I urge you to visit our gorgeous mountains where you can enjoy skiing next to the wilderness or even participate in snow-park competitions that are held in different resorts each year – all around Hellas. Keep up the good work S-F team!! Putting together 2 group trips:- 27th Jan & 10th March, max 24 people. £385, 7 nights B&B, 6 days Lift-pass, transfers, 2 evening meals. Anybody fancy joining us send an e-mail, should be good! Iam here again for the 3 season - great website . I'm from Colorado and I loved viewing this sight! I will put it in my plans to visit some of the ski resorts in Europe this year. Thanks for all the information! great site - any one know where Heath Judson has got to !!!!!!!!! Hey guys thanx for the great info of the snow. Been in france la Tania for the last month. Have seen both sides of the weather but the snow over the last two weeks has been the best I've seen, non stop for TEN days! and thanx to the ausi bar which makes there own toffie vodka - I've brought some home with me!! C ya next year!!! btw ani1 who wants to talk to me botu where to go and where not to or for a chat email me at 05barretts@stdoms.ac.uk, c ya next year!! Thanks for all your excellent info. Great to be able to monitor snow around the world. Incidentally, your webcams in Andorra- The one labelled 'Arinsal' is actually Pal. Arinsal has a new webcam, showing up on Andorramania.com and they've recently added one for Arcalis as well. Maybe you could consider linking to those cameras for a more accurate report on Andorra? Sorry, I'm biased, i live there part of the year, and I love it! hey guyz dis year was really good. And I had a really good time. thank you !!!!! you guys do a helluva job. keep it up. been using you for almost 3 seasons! Excellent site - needs to be publicised more. It is a great site. In Japan this year, we get record snow fall in different part of the country, including Hokkaido, Nigata, and the Japan Sea side. It is good for people from other countries find out the snow condition of the sky resorts of these ski places before you go. Some runs were closed in ski resorts because of avalanche or the danger of it. There was one in the popular Yuzawa resort in Nigata killing one skiier. I have more information about Japan in my site <a href='http://www.kuma-san.com'>www.kuma-san.com</a> Please visit me and give me some comments. Really helpful to see what the conditions in Wengen are likely to be next week when I visit to create a virtual tour with panoramic photography. Will definately add link to my skiing section. You really got a great site here! Having a look almost every day, longing for the snow to dump in the Alps and in the north of Sweden. Going up to Åre (biggest resort in Sweden) for a five days of warmup in January before going to Monte Rosa late January. Back home for a month then back to the Alps in March for couple of weeks, will decide where to later but a roundtrip in Switzerland would be nice. My season will end up in north of Sweden in April with heliskiing in Kittelfjäll. I could not do without this site at all !! As a seasonaire in the alps i log on reg to check any snow due etc / freezin level , you guys do an amazing job keep it up , also good to look at places i can only dream off going at this stage i.e whistler etc , is there any good snow due , if any users know any long term forecasts for french alps please post on here , this would be appriciated . keep up the good work guys im all packed ready to rock just need a good dump to set things off . This is a great site! I am lucky enough to be going to Austria and Canada this winter, so I have to look every day!! Keep up the good work! I could'nt do without you. Puga's comments above have me confused. I don't think his/her home is listed under India, but I might be mistaken. Going my Gulmarg this site is extemely accurate. The resort exec in charge of snow grooming/clearing utilises it to plan his work. He mentioned to me last winter one day about 44 cms were predicted, and accordig to him he measured a new 43cms for the day. Regular visitor to site, really useful for snow updates. How can I add a picture to the visitors pictures? Great site, loads of info, look forward to logging on everyday to check the snow forecast for France! Can't wait! Bag and Board packed ready to head off! love the site guys , keep checkin the site for regular updates as to when the snow is comin to france , cant wait for it to give a big dump then we can kick off the 05/06 season with some dialled in off the hook ridin !! Please, please, please, do setup an SPF record ( http://spf.pobox.com ). Since you send a lot of email to lots of people, it's at least polite to show that you respect the hard work other postmasters do against spamming. The best site about snow forecasting.I visit it every single day and I'm sure that I'll find true information about the places where I go to ski.It's a great place for all people who are interested in winter sports and tourism.Also this year the ski resort list is filled with more resorts than the last year.The site becomes better and better constantly!